Experience the flavors and sounds of Maestro Bocelli’s Tuscany as you are immersed in his life on our Celebrity Fight Night 2019 5 Days Package. Discover the beauty of Tuscany, as well as the incredible life of Andrea Bocelli on our Celebrity Fight Night 2019 5 Days Package. Explore places like Siena, San Gimignano, Pietrasanta, Volterra, and many others including the hometown of Andrea Bocelli, Lajatico, and Forte dei Marmi, where he now resides with his family. Visit the Bocelli family vineyards and Bocelli Restaurant where you will indulge in a private wine tasting, and admire Alpemare Beach Club, and enjoy another wine tasting of fine Bocelli wines. Experience Teatro del Silenzio and Celebrity Fight Night 2019, two unforgettable events all on our Celebrity Fight Night 2019 5 Days Package! Welcome to beautiful Italy! Your wonderful Private English Speaking Driver will greet you at the airport or train station in Florence and will chauffeur you to your beautiful accommodation in Tuscany. After you are settled in your incredible 5 Days Celebrity Fight Night Package will begin. 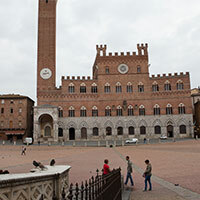 You will begin your first day with a stroll through the charming town of Siena where you will learn about the history and admire the interesting culture. Your next stop in San Gimignano will begin with a delicious wine tasting of regional wines and an incredible Tuscan lunch that will ignite your taste buds. Enjoy a stroll around the town discovering the history and culture, including the famous towers in the center of the town. Enjoy breakfast and meet your Private English Speaking Driver who will chauffeur you on a great day to the Tuscan seaside. Your first stop will be the historic Lucca. You will meet your tour guide and she will help you gain insight into the culture and history of this intriguing town. Lucca the hometown of renowned composer Giacomo Puccini, and therefore you will visit his home and the museum dedicated to his life. After visiting Lucca, you will say goodbye to your tour guide, and will visit the stunning seaside art town of Pietrasanta. It is known as the town where Michelangelo found the marble for his masterpieces, like the statue of David. 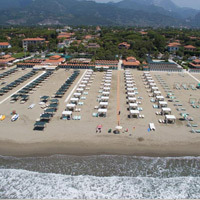 After your stroll through the town you will have worked up an appetite and will be chauffeured to Forte dei Marmi, the luxurious seaside town where Maestro Bocelli now resides with his family. You will enter the stunning Alpemare Beach Club where you will be greeted and lead to your table where you will indulge in the finest Bocelli wines during a wine tasting accompanied by a seafood appetizer. As you gaze out admiring the beautiful view of the Tuscan sea and the Apuan alps surrounding you, you will enjoy a fine Tuscan lunch. After a great and exciting day, you will be chauffeured back to your accommodation where you will enjoy relax time and dinner nearby. Buongiorno in Tuscany! Have a nice breakfast and meet your Private English Speaking Driver who will chauffeur you to the medieval town of Volterra. Enjoy a beautiful stroll in this town with your private driver who will explain the history and show you the ancient Roman amphitheater, as well as a famous Alabaster laboratory for which the town is know. 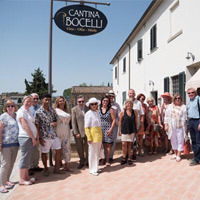 Afterwards enjoy an afternoon visiting the Bocelli family vineyards and learning about the wine making process before heading to the Bocelli Family Restaurant where you will meet the Bocelli Family including Alessio Bocelli, the nephew of Maestro Bocelli. He will explain in detail the history of the Bocelli Family wines and diverse products that they produce on site as you indulge in a private Bocelli Wine Tasting along with a fine Tuscan appetizer. Enjoy a fine three course Tuscan meal after the wine tasting accompanied by Bocelli wines. 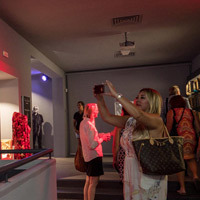 After a delicious meal you will visit the Bocelli Museum located on the first floor of the restaurant, that is dedicated to the lifetime musical achievements of Maestro Andrea Bocelli. Your wonderful afternoon will come to an end as you are chauffeured back to your fine accommodation to relax and prepare for the evening’s Teatro del Silenzio Performance! When ready you will be chauffeured to the venue where you will enjoy VIP access to the pre-show aperitif overlooking the gorgeous Tuscan hills. Enjoy finger foods and Bocelli prosecco. Take your seat in the arena in your executive seats to enjoy the show. Marvel in the rewarding and glorious sounds of Maestro Bocelli as he performs an incredible show in the heart of Tuscany for thousands of guests from all over the world. After the breathtaking event, your Private English Speaking Driver will chauffeur you to the Bocelli Farmhouse located a few minutes from the Teatro del Silenzio venue. Mingle with the lovely guests like celebrities from around the world and indulge in fine Tuscan cuisine. After an incredible evening you will be chauffeured back to your accommodation. Buongiorno in Tuscany. Enjoy a delicious Italian breakfast and a wonderful morning of pure relaxation at your accommodation after a wonderful evening at the Teatro del Silenzio Event! Feel free to use the amenities and enjoy a delicious lunch as well. That afternoon will be filled with preparations for the evening’s incredible event, the Celebrity Fight Night 2019! Your Private English Speaking Driver will greet you at your accommodation and chauffeur you to the property of Maestro Andrea Bocelli in Forte dei Marmi. 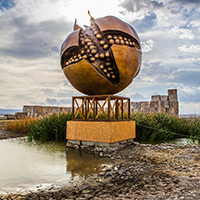 You will enjoy an incredible evening reveling in the company of celebrities from all over the world there to celebrate the Andrea Bocelli Foundation. Indulge in a delicious meal of delicious Tuscan food. 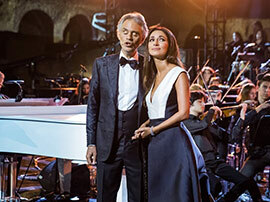 After dinner, you will enjoy an astounding concert as Maestro Bocelli sings with other talented artists accompanying him. The evening will be filled with passion and beauty alike. After a wonderful time, your Private English Speaking Driver will chauffeur you back to your accommodation. Good morning in Tuscany. Enjoy a delicious breakfast and meet your Private English Speaking Driver. Today will be a very luxurious relaxing day. Start off at the PPG Recording Studios where Maestro Bocelli has recorded many hit songs with studio master Pierpaolo. Here you will meet with Pierpaolo who will give you a wonderful tour around the studio and introduce you to how the recording process works. Watch some videos explaining the process in detail and showing you an insider’s look into the musical life of Maestro Andrea Bocelli. After an incredible morning you will be chauffeured to a lovely Tuscan restaurant for lunch and to indulge in some fine wines. Get ready for a very relaxing afternoon as you meet Pierpaolo again at a beautiful villa. He will set you up on the new technology of Sound 6D pillows. Sound 6D pillows allow you to lay down and exude an incredible surround sound of your choice, including waves, birds, or even light music that tunes out the outside world and immerses you in pure relaxation. This technology has been medically proven to relieve stress. While enjoying the sounds, try the new Lajatica cosmetic products as well to immerse yourself in a full relaxing experience. The Lajatica hand and facial creams will leave you completely in awe and amazement. After an extraordinarily relaxing day, you will be chauffeured back to your accommodation where you will enjoy dinner. Buongiorno on your last day in Tuscany! Enjoy breakfast and meet your Private English Speaking Driver for the last time as he chauffeurs you to the local airport or train station. Arrivederci! our driver was super friendly and knew everything! Great Italy Tour has a strong belief that the marvels of Italy should be experienced not as an ordinary vacation, but a journey that leads you through the country by activating all of your senses. Great Italy Tour allows you to combine culture with history, food, and allows you to admire the masterpieces of great Italian artists and listen to the glorious sounds exuding an Opera house along the way. Great Italy Tour is a proud official and exclusive partner of the Bocelli FarmHouse.